JAKARTA, Indonesia -- An Indonesian official says the cockpit voice recorder of the Lion Air jet that crashed into the Java Sea in October has been found. Ridwan Djamaluddin, a deputy maritime minister, told reporters Monday that the National Transportation Safety Committee had informed the ministry about the discovery. He said human remains were also discovered at the seabed location. 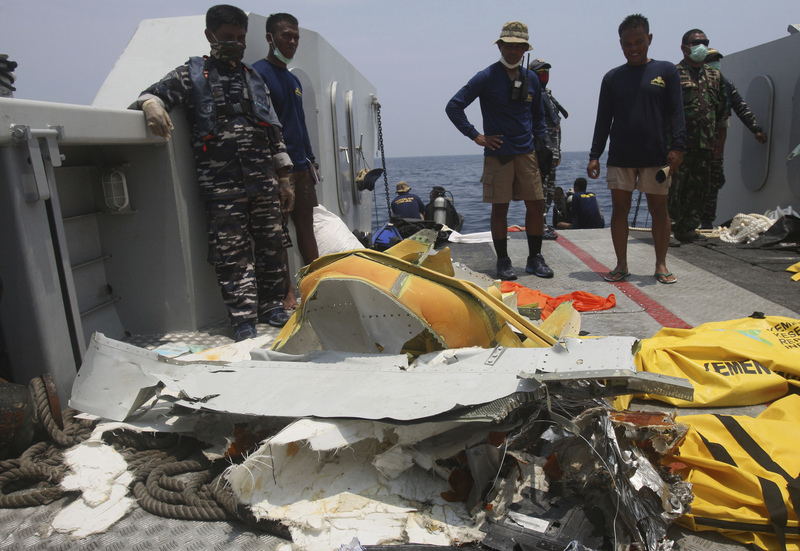 The 2-month-old Boeing 737 MAX 8 jet plunged into the Java Sea just minutes after taking off from Jakarta on Oct. 29, killing all 189 people on board.